Perhaps you’ve made the short jaunt to Explorer Falls and noticed the small cave near it’s base. Is it a cave? Is it a mine? Is it a portal to another dimension?! Whatever it is, and for whatever reason it came to be, I don’t know. Though I’d guess it’s an old mineral prospect. The hole itself is very short, probably not much more than five feet, and is no more than a couple feet tall near the back. Venturing inside on my last visit I discovered a candy wrapper and a buckshot sabot…. so yeah, it’s that kind of hole. It is said that at one time there was a ladder up to the tiny adit, but the ladder has since gone MIA. In it’s place are some crude footholds carved into the perennially wet rock. Watch your step! 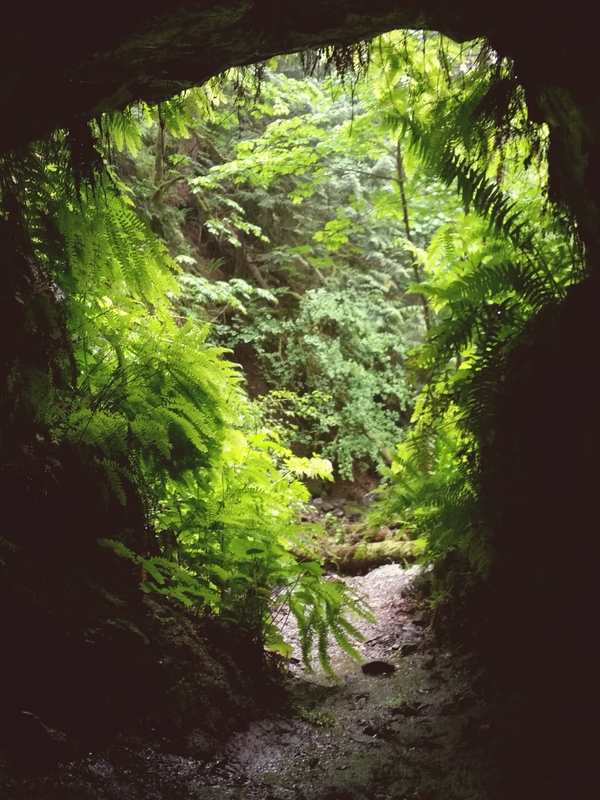 In this hiker’s opinion, you could save yourself the slippery scramble to see the dark, musty interior of a five foot deep grotto… unless you just can’t. Obviously I can relate!